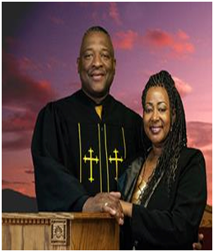 Divine Faith Ministry was established on April 3, 2005 by the Presiding Pastor, Reverend Wilbert L. Watson with the divine help of God in Hopewell, Virginia at 4112 Oaklawn Blvd. Divine Faith Ministry is a Non-denominational (Multi-cultural) Church founded in the truth of God and His righteousness. The greatest concern of Divine Faith Ministry Church is the same as God; the Salvation of lost souls; God wants us to help Him reach the lost. Jesus wants us to introduce others to Him, and Divine Faith Ministry Church will get the job done; not minister only to crowds but make time for individuals like Jesus did. This divine duty includes the genuine compassion of people shunned by others. Everyone whom Divine Faith Ministry preach and teach God's Word to; will know that Salvation is of God; not of man, temporary feelings or emotions. The Spirit of God makes the love of God real to us (Romans 9: 31-32). Divine Faith Ministry Church in Petersburg, VA, near Fort Lee, VA is obligated to exemplify, preach, teach and practice the unconditional love of God. This way, people will understand why we must never let anybody or anything come between us and Christ; a substitute is simply not acceptable to God. We sincerely enjoy the love of God and strive to be like Christ to believers and unbelievers. The Bible is the complete, inspired and infallible Word of God. It is the final supreme authority for Christian faith, and worship and conduct. In one God, eternally Triune God: Father, Son, and Holy Spirit. In the virgin birth, death and bodily resurrection of Jesus Christ. In the sinfulness of every man; that sin separates man from God. That Jesus Christ died for men’s sins as a substitutionary sacrifice. Salvation cannot be earned by good works but only through faith in Jesus Christ. That believers are baptized into the body of Christ at the moment of salvation. The believers are sealed and externally kept by the power of the Holy Spirit. In the resurrection of the dead of all men – the saved to everlasting blessedness; the unsaved to everlasting punishment. In two ordinances: Baptism, for believers by immersion, and the Lord’s Supper. In the personal, premillennial and imminent return of Jesus Christ. 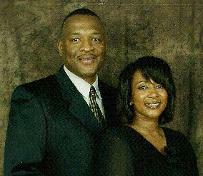 Reverend Wilbert L. Watson, a native of Chesterfield County, South Carolina has been serving in ministry over 21 years in various teaching, counseling, leadership, and pastoral positions. He presently serves as Senior Pastor of Divine Faith Ministry Non-denominational (Multi-culture) Church in Petersburg, VA. He served two years as an Associate Minister at the Upper Room Covenant Church, Alexandria, VA under Pastor Johnnie Byrd. He served one year as Pastor of New Creatures-In-Christ Ministries, Woodbridge, Virginia under Senior Pastor Madlin Edmonds. He served three years as an Associate Minister at Emmanuel A.M.E. Church, Fredericksburg, Virginia under Senior Pastor Herman L. Gladney. He was ordained February 08, 2005 to preach and teach God’s Word. He constantly labors in the Word of God to prepare the body of Christ for the work of the Church, which he believes is calling individuals from spiritual death into everlasting life. He preaches with authority and power because of the anointing of the Holy Spirit. He thoroughly believes the Word of God. This is exemplified in his message and delivery. He has been divinely positioned with opportunities to draw people closer to God wholeheartedly in Spirit and in Truth. He has a yearning desire to proclaim the Gospel of Jesus Christ and to help build-up the Kingdom of God. His life is dedicated unconditionally to accomplishing the work of the Lord. He was educated and graduated from Chesterfield High School of Chesterfield, South Carolina in 1975. He attended Washington Bible College/Capital Bible Seminary. In 1994, he earned his Bachelor of Science degree from University of Maryland, College Park Maryland. In 2002, he earned his Master of Arts Degree from Webster University, Saint Louis Missouri. Reverend Watson is presently in the process of receiving his Doctoral Degree from University of Phoenix, Arizona. He retired from the United States Army December 1, 2004 after serving 29 years and three months of dedicated, loyal and honorable service as a Quartermaster Corps Senior Chief Warrant Officer Five. He is married to the Reverend Estell Watson; they have five (5) children (adults) and eleven (12) beautiful grandchildren. Reverend Estell Watson is a native of Red Oak, Virginia. She started at the age of 16 spreading and sharing the gospel in ministry prison. She presently served as Co-Pastor of Divine Faith Ministry. She served as a volunteer counselor at the Youth Detention Center, Junction City, Kentucky. She became an ordained minister in February 2005. Reverend Estell served as Youth Minister at Divine Faith Ministry in Hopewell, Virginia for two consecutive years prior being assigned to Fort Knox, Kentucky. She and her husband Reverend Wilbert L. Watson served as Pastors at New Creatures-in-Christ Ministries in Woodbridge, Virginia. She served three years as an Associate Minister at Emmanuel A.M.E. Church, Fredericksburg Virginia under Senior Pastor Herman L. Gladney. Reverend Estell served as a Counselor and leader of Women’s Ministry at New Creatures-in-Christ Ministry in Woodbridge, Virginia. Reverend Estell served in the United States Military 21 and a half years. She retired from the U.S. Army March 1, 2008 and continues to serve in the Army of the Lord, teaching, preaching, and leading people to Jesus Christ. She holds a Master of Art Degree in Human Relations from University of Oklahoma and a Bachelor of Science Degree in Human Services from Upper Iowa University. She is in the process of receiving her second Master Degree from the University of Liberty. She is married to the Reverend Wilbert L. Watson; they have five (5) children (adults) and eleven (12) beautiful grandchildren.